It has been a really busy week. My husband had surgery over the weekend last weekend, so I did not get a lot of work done on the weekend and spent the Monday helping him out. He is recovering now and have finally started getting a few things finished for the market next weekend. 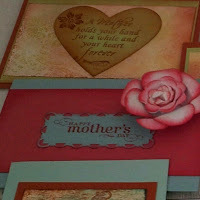 I thought I would share a few photos of some of the items I have made for the market. Next week I will add my second post on Preparation For Market, Displaying Your Items. I am really excited about the next post as I went to a market and asked a few of the stall holders about how best to display their items......stay tuned. 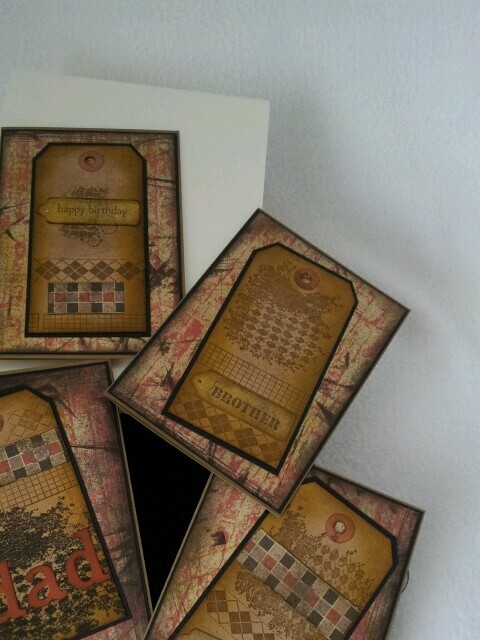 In the mean time, here are a few items for the market. 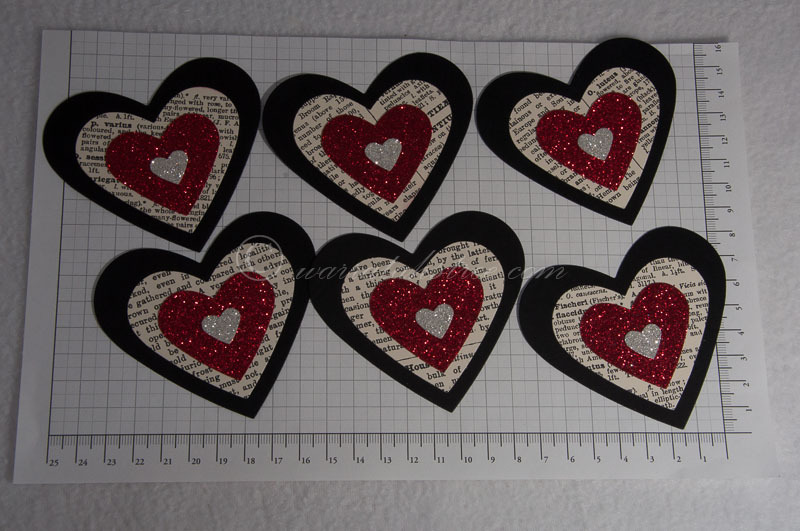 Heart tags made with News print DSP and Glitter paper from Stampin Up! 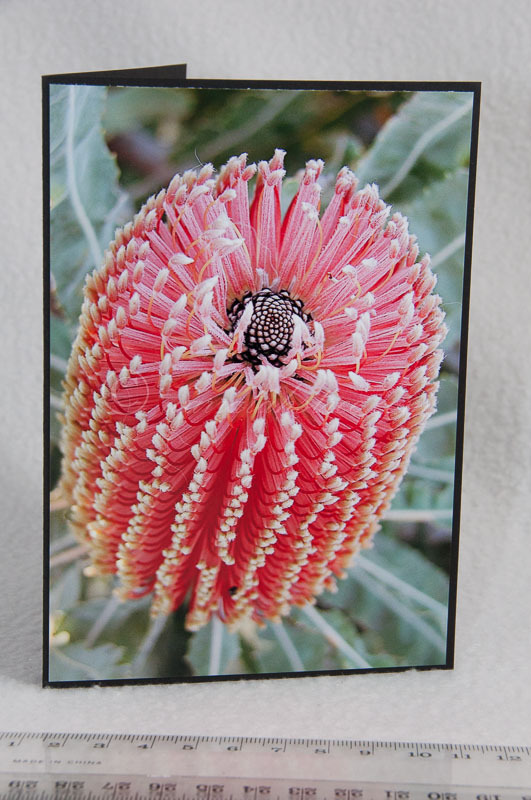 Banksia Photo Card on Black cardstock.